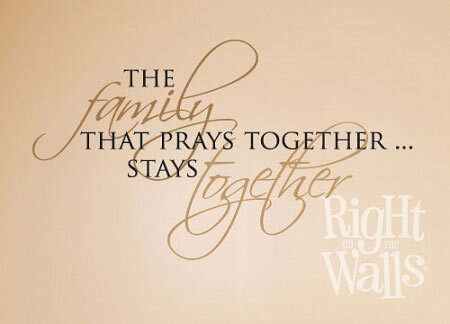 The family that prays together family vinyl wall decal has many decorating possibilities to transform your room into a space you can be proud to show off your faith. This religious family wall quote has many decorating possibilities to transform your room into a space you can be proud of. 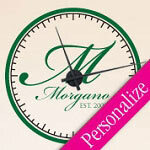 Our wall art requires no holes or nails to apply to the wall, and lays flat so they're perfect for tight spaces! If you need a size or quantity other than we have listed above, please contact us — all of our products are cut to order, therefore 100% customizable. Our wall decals are removable but not reusable, we use a non-toxic vinyl material that allows the texture of your wall to show through and appear painted on the wall. 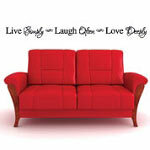 Removal is a snap when you want to change up your decor or need to move. 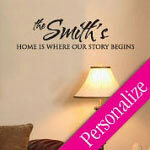 We offer over 35 matte vinyl wall decal colors to choose from that will coordinate nicely with your home décor.